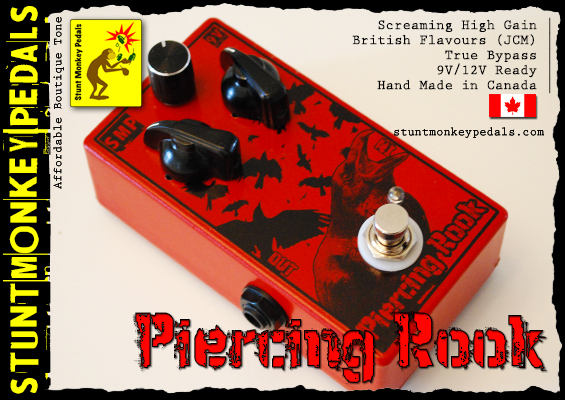 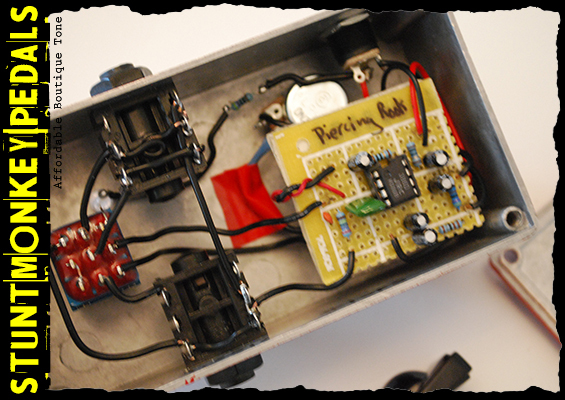 The SMP Piercing Rook is a high gain distortion pedal with British flavour! 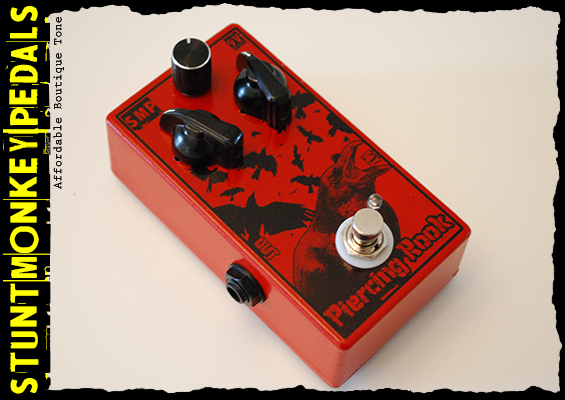 The SMP Piercing Rook uses a JRC 386 chip to induce Marshall-esque tones! 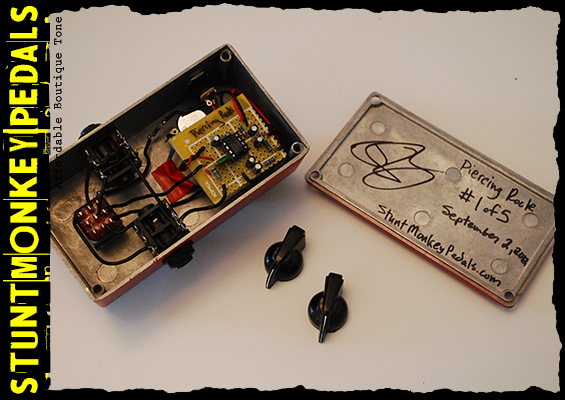 Dialed up, this pedal verges on overload and borders on raging feedback that can be controlled with a tweak of the guitar volume knob. 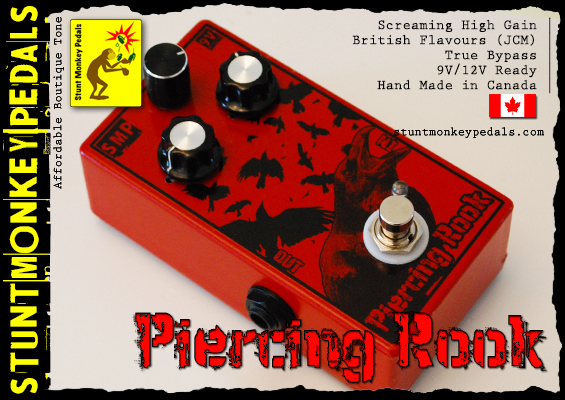 If you want that classic metal sound then look no further; this is the one! 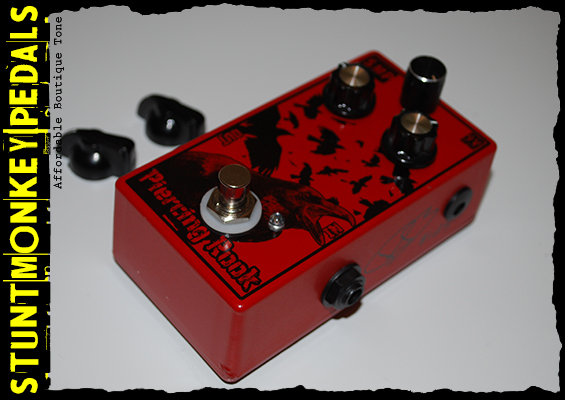 As comfortable with a Les Paul, Tele or anything in between, the Rook will satisfy your need for scream!